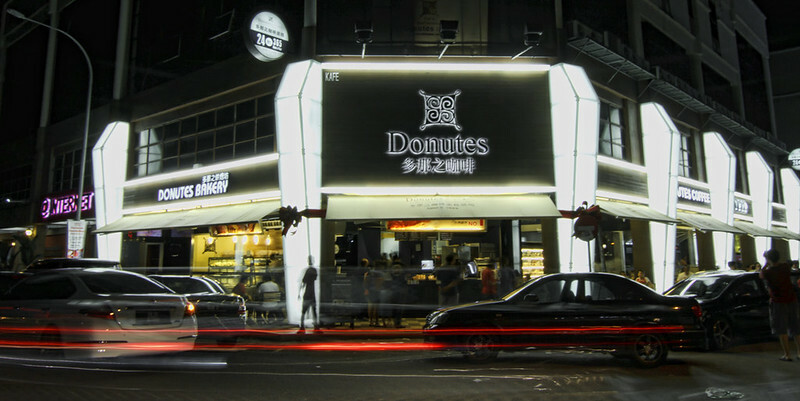 Established in the year of 1989 in Gao Xiong, Taipei, Donutes Coffee & Bakery first started as a shop specialized in bread and cakes, running business traditionally. 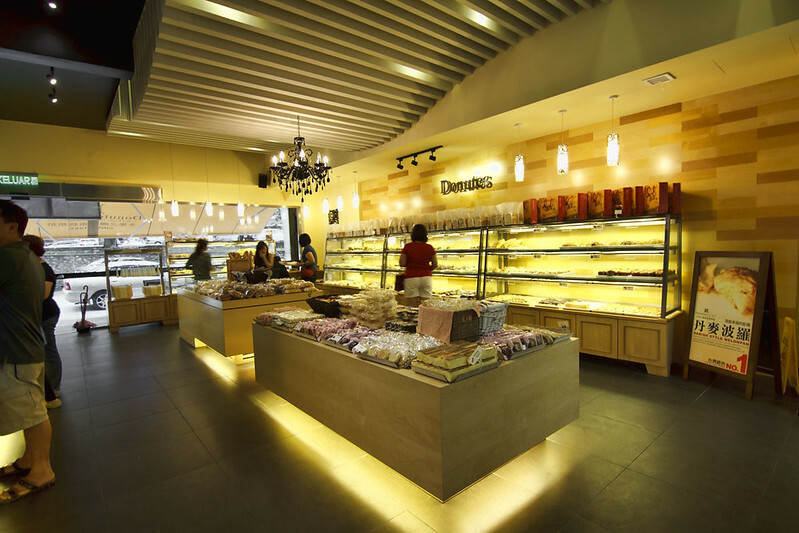 But as time goes by, the demands of market had led Donutes to evolve from a traditional bakery shop into modernised bakery,with new products launched consistently from time to time. 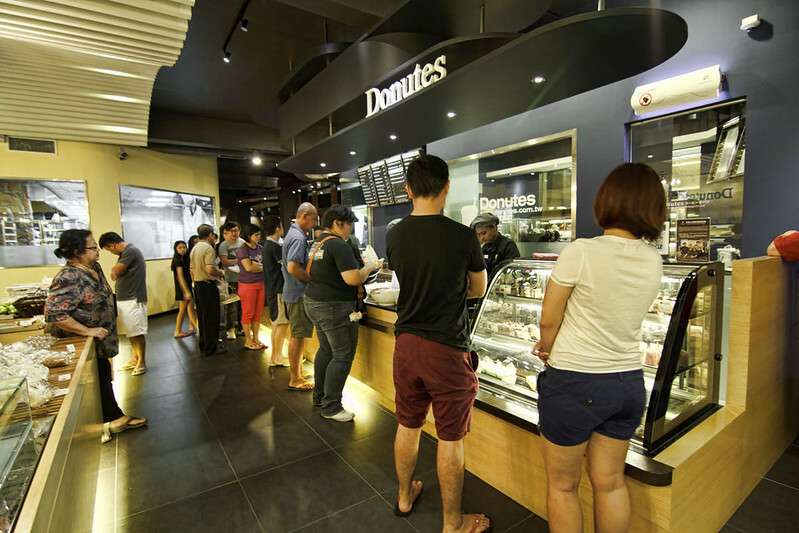 The good flavours and creations have put Donutes into ample of business chances. The brand is getting famous, and managed to have more than 10 outlets across the country after over 20 years. 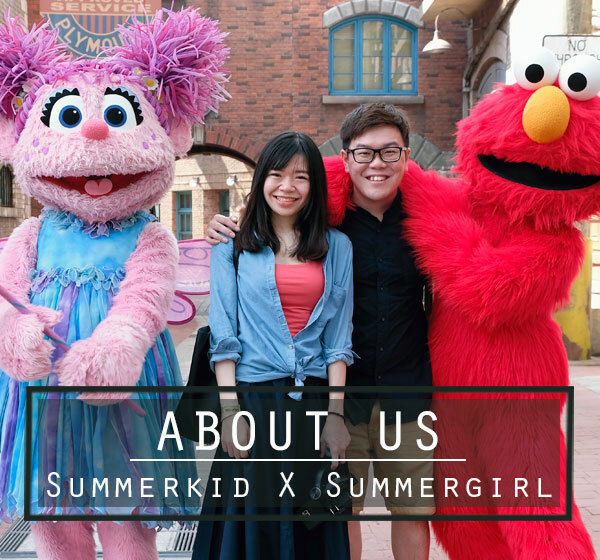 And this year, in April 2013, the brand landed their new flagship in Malaysia, with the first franchise in Puchong IOI boulevard, one of the hottest spots for young age dining. 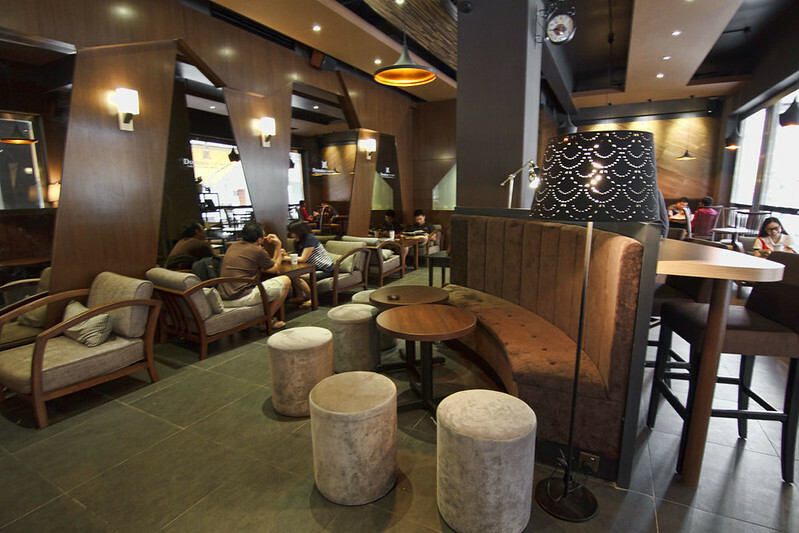 Differ from many bakery shops, Donutes provides outdoor and indoor seating. 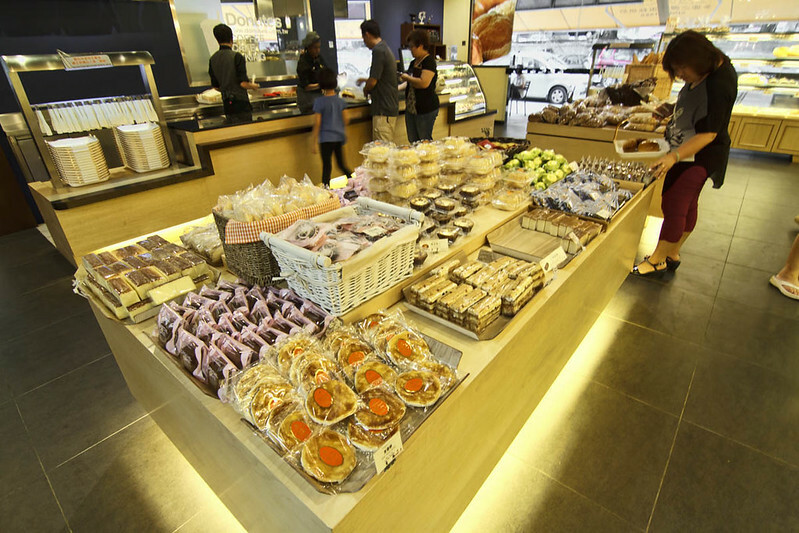 The entire bakery is spacious, clean and comfortable. Hue lighting, elegant chandeliar, soft coloured furnitures with wooden elements sum up a rustic design with modern twist. Definitely an ideal hang out spot with friends and family. Another plus point, Donutes opened 365 days 24/7, which means you can visit them at any time any day you like. We were there at 10pm last Saturday, business was at brisk, queue at the paying counter was extremely long and there’s no vacant seats at all. But the second visit during teatime was ok with lesser crowd. Donutes offers many types of bread, some are really unique and rarely seen. 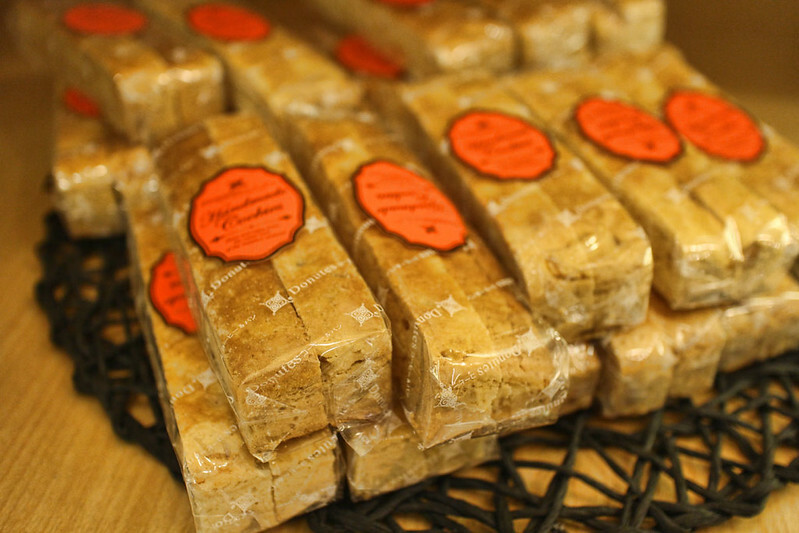 There are three sections a day where breads will be out fresh from the oven- 7.30am-10.30am, 1.00pm-3.30pm and 4.30pm-6.30pm. 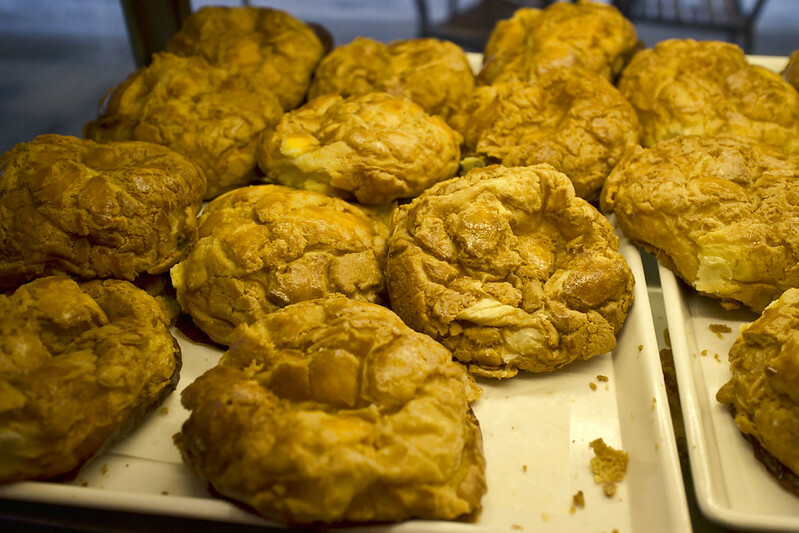 Danish Custard Polo (RM3.80) and Taiwan Rosong (RM5.80) are among the best seller, recommended for those who are first time there, drown with choices and not sure which one to have. In taiwan, 30,000 Danish Custard Polo are sold per day, a statistic that is good enough to convince us to get one from the shelf. 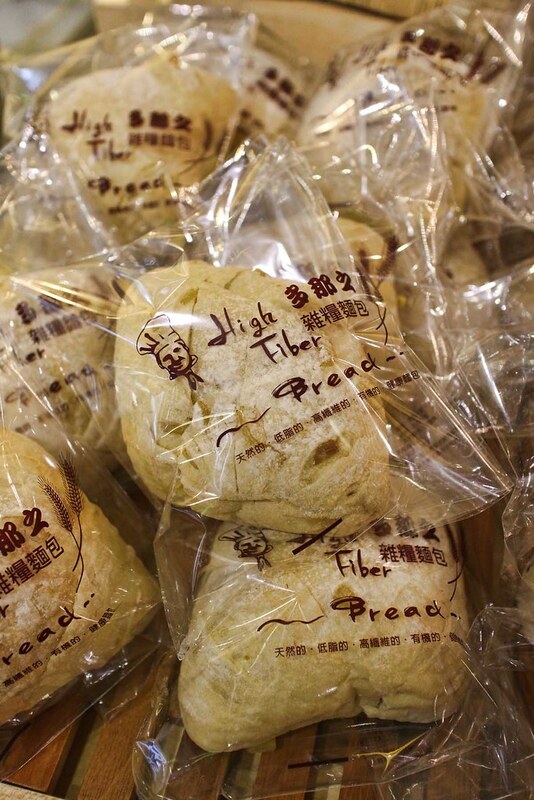 Goes healthy by adding some high fiber multigrain bun, wholegrain bun, mixed nuts bread, multigrain bagels and wholegrain french loaf into the tray. 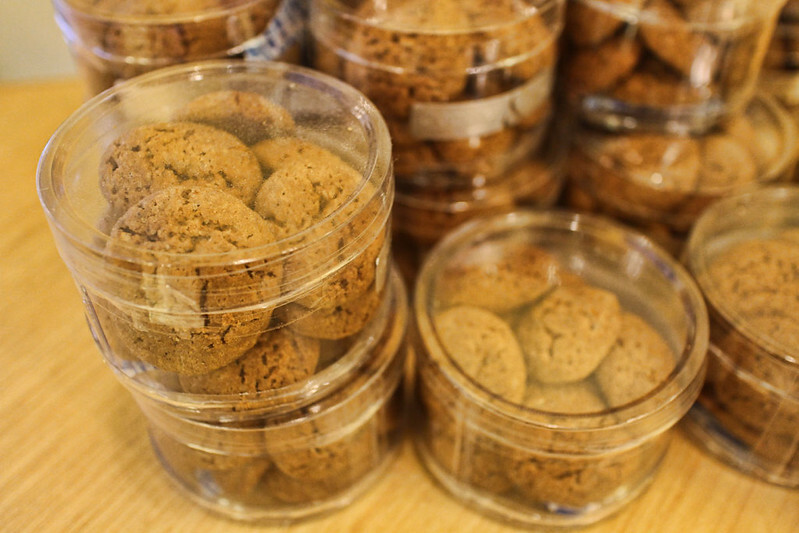 Lots of handmade cookies to choose from too- Golden Chocolate, Boston Cat biscuits, Chocolate finger, coffee cookies, coffee fingers, orange fingers, french almond tuile, etc. 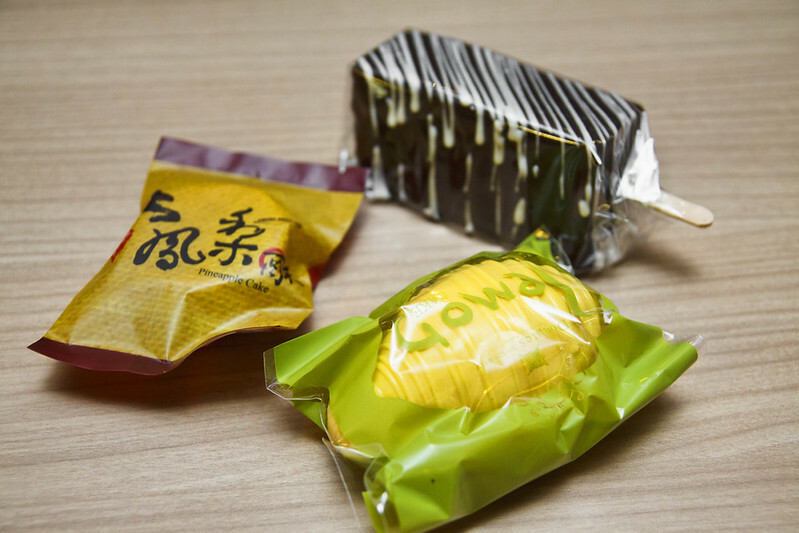 The girl got hooked with all the adorable and colourful packaging, indirectly making her to fill more items into the tray, only to regret later at the paying counter. As she moved on to the cakes counter, she literally lost control looking at all those pretty, extra tempting cakes. 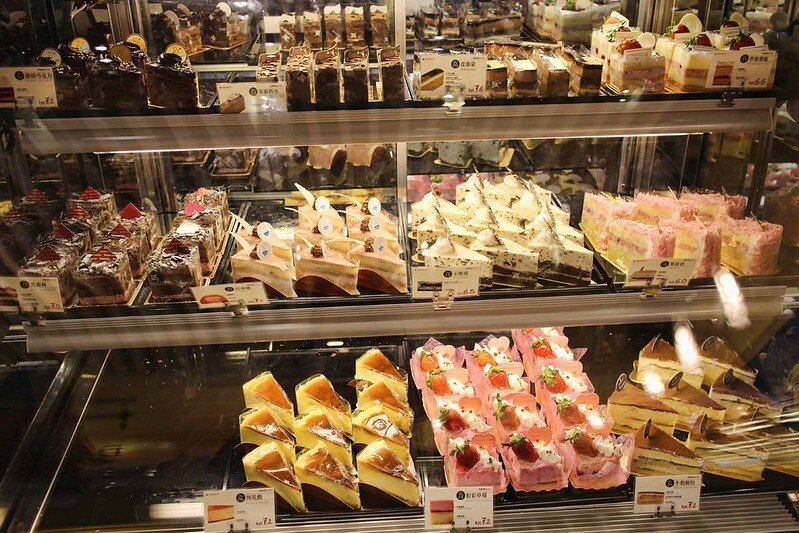 Either is designed cake or petite four, the choices and flavours available could easily more than 20 types. The girl: “Can I have another birthday cake? Treat it as belated birthday cake la..”. Anyway, request was badly ignored by the boy. Everything here is in pack-and-go style, clean and easy. But still you can ask for plates and cutting of bread into smaller portion from the friendly staffs. 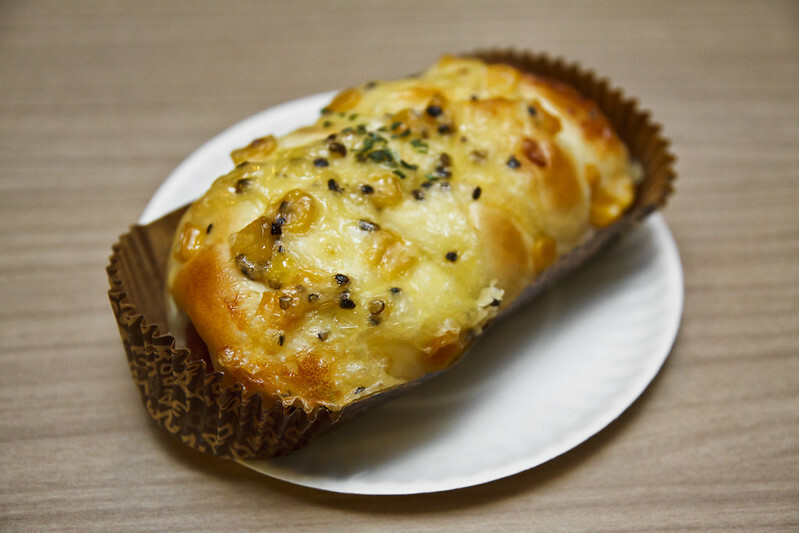 We like the fresh, soft and fluffy bun filled with sausage and topped over the cheese and corn. 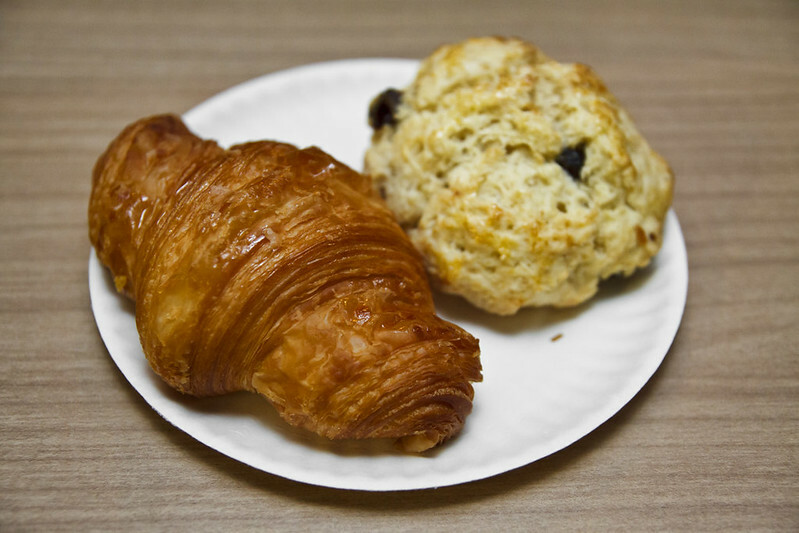 Croissant was average, slightly oily and on the sweet side. Raisin Scone seemed to be the better, soft with nice milky aroma. Some cute little pastries that the girl bought- Pineapple Tart (RM3.50), Lemon Cake (RM3.50), Chocolate Popsicle (RM4.00). 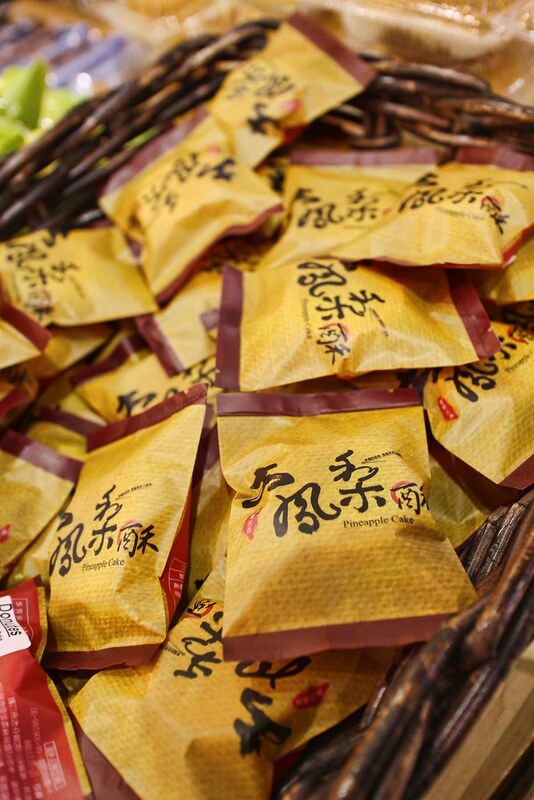 All tastewise and nothing special, attracting packaging is the winning point. 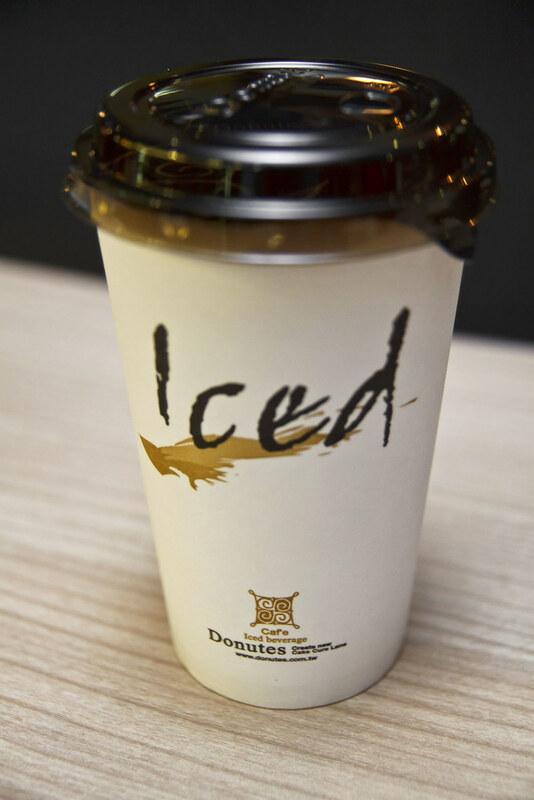 Not to forget, Donutes Coffee & Bakery has a beverage counter too, complete with range of hot and cold drinks from coffee, tea, smoothies to iced blended. We got ourselves Mixed Berry Tea, very chilling for the hot weather but the hint of medicine flavour was a little unpleasant. Clearly, Donutes Coffee & Bakery has gained likes of locals since its opening. 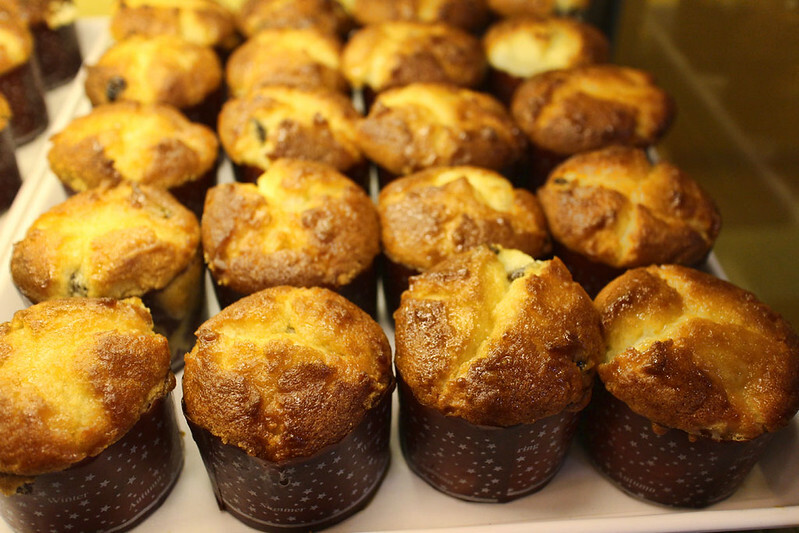 Breads and cakes are just mediocre to be frank, but opening 24 hours and having great ambience have given them advantages to take the lead. Competition among bakeries around this area is just getting intense, good or bad, it is subjective. very nice picture! especially the first one! Nicely written article too! I personally dont like this place though.. been there 3 consecutive days since their opening..cause their coffee and breads are soooo cheap…they breads is nice la… but coffee… er… not quite.. 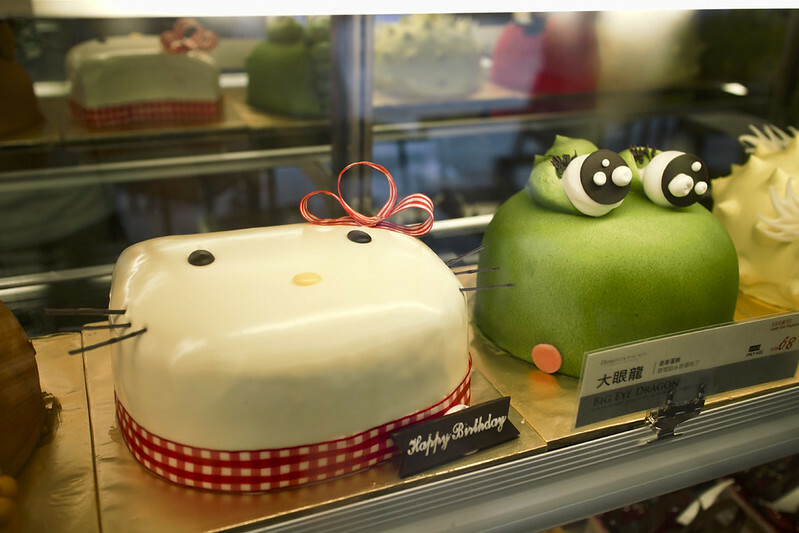 The cakes are so cute, planning to get one for my daughter for her birthday! 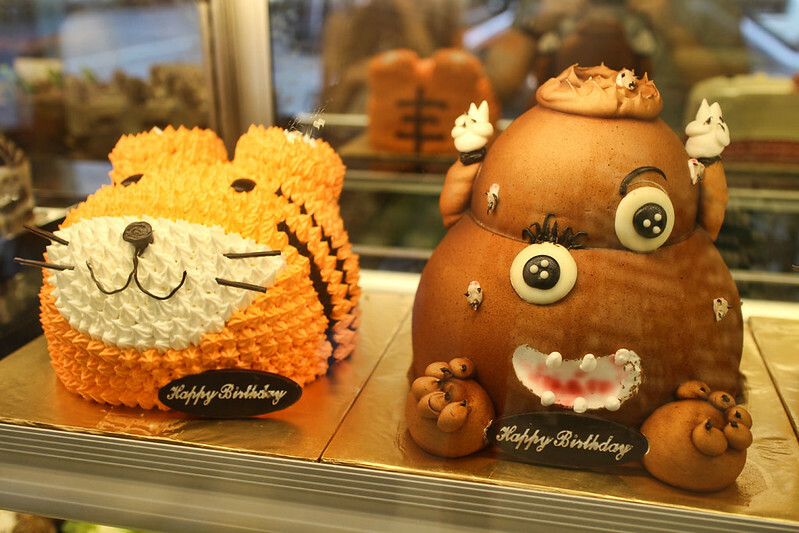 if i wan order a birthday tat look like a pig need order b4 how many day? ♡ good service ♡ various types of bread and buns♡ nice coffee ♡ cosy environment! this is my first time came to this place with hubby, its cozy and clean, suitable for us to rest while drink some hot coffee after a busy day at work. I bought 4 crispy puff at puchong ..2 inside is no cream..totalli let me down..